These socks are very comfortable. I walk 10000 steps a day on my job and these socks help my legs feel so good at the end of my shift I would recommend these to everyone. Wow right what I needed. Wish I had checked with y'all sooner. The sock are very comfortable around my wide calf. Only problem I have is they don't keep the swelling completely down in my legs. There is no way these would fit a wide calf. You can't even get them over your toes. I believe that these compression knee highs will fit me. 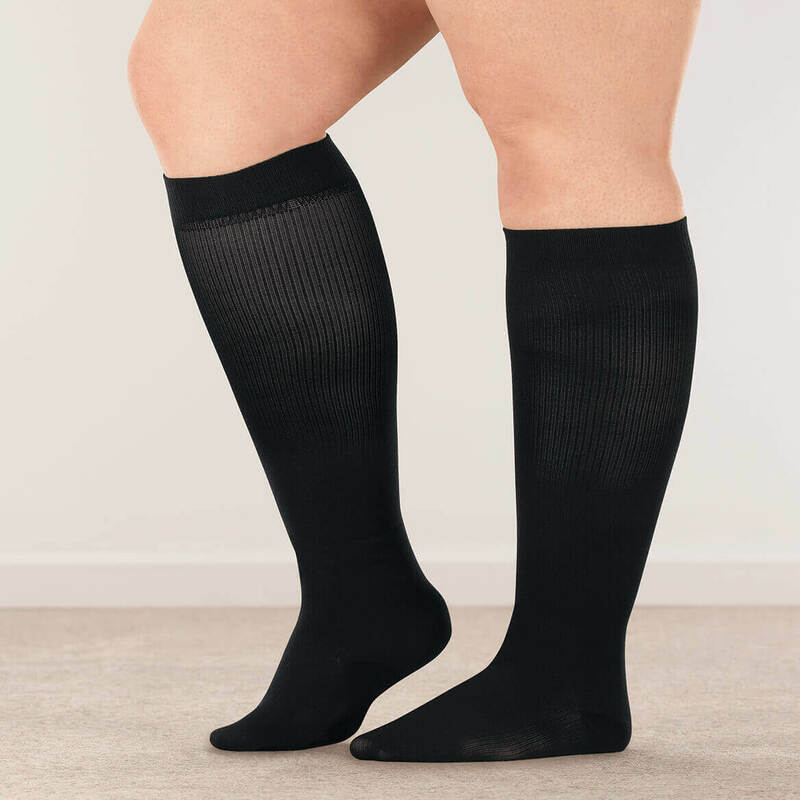 it is difficult to find compression stockings to fit a person with a wide calf. I am keeping my fingers crossed. Hopefully I can get them this week, because I have a procedure being done this Friday. These socks were recommended by a friend of mine. She is happy with hers. I wear compression knee stockings all the time and I wanted to try this brand as the price is good. Purchase in the past and they fit well. trying to walk more and these will facillitate this situation! 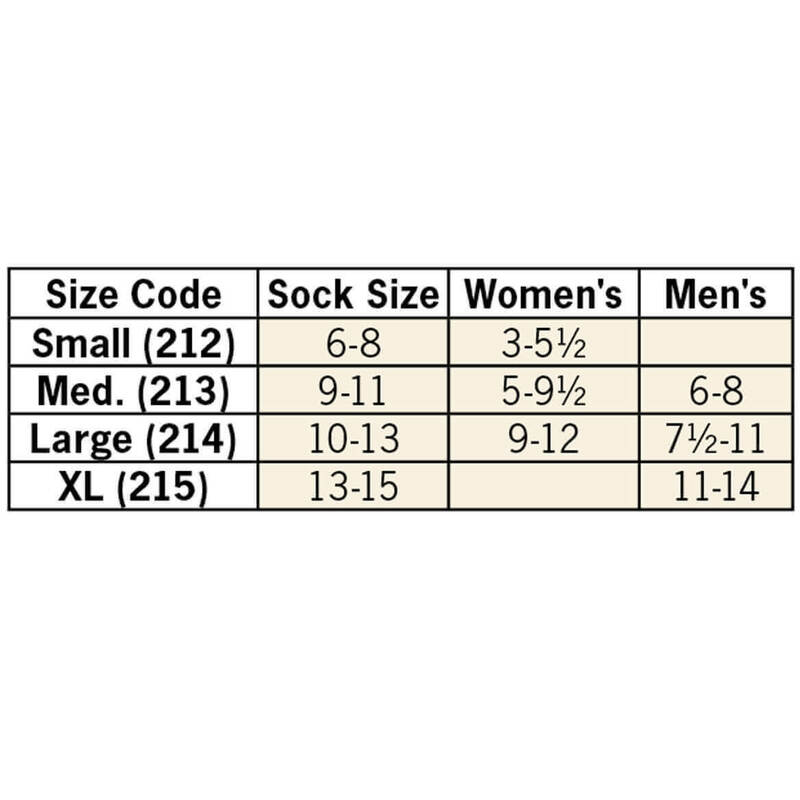 XL (215) FITS MEN'S 11-14. We hope this information will be of help to you.